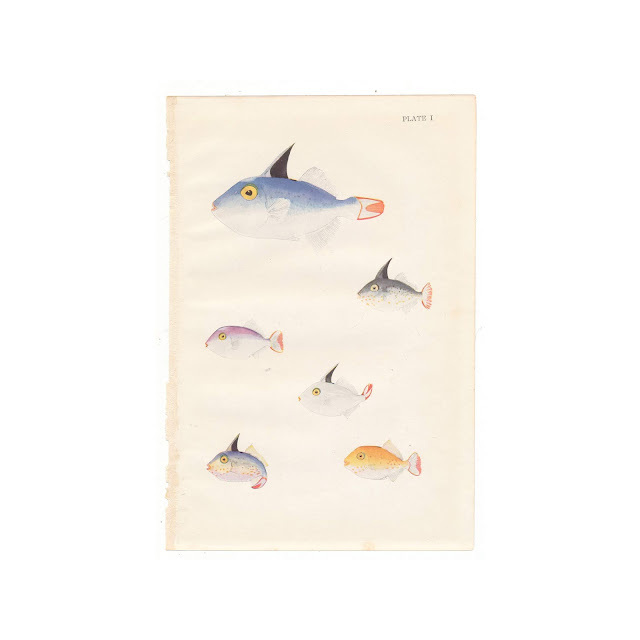 The print is titled "Scarlet-Tailed Triggerfish." 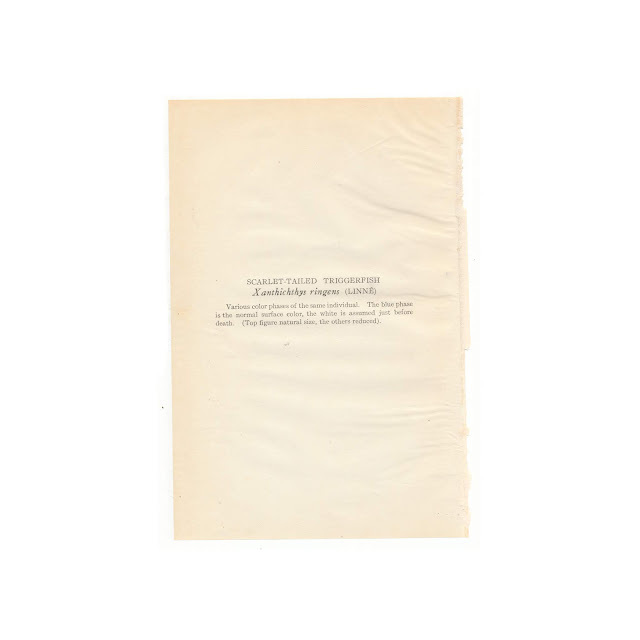 Paper shows some light soil, foxing. Rough edge where it was bound into the book. Original tissueguard with print details is included. 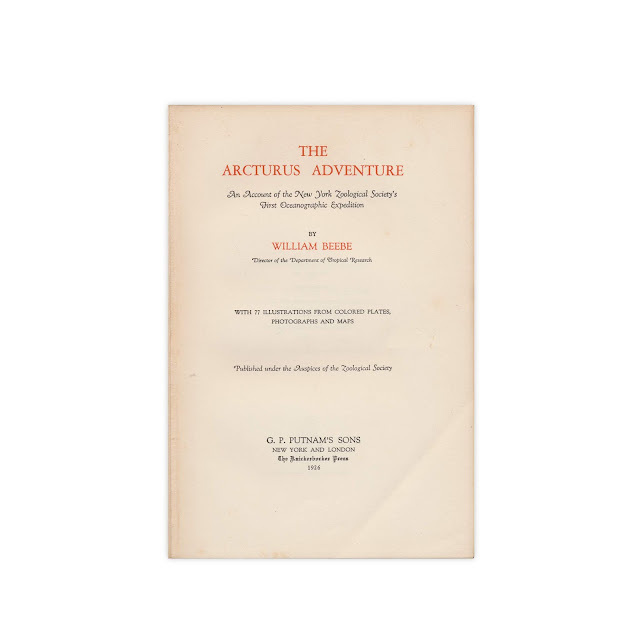 Title page from the original book shown for informational purposes and is not included with the sale.